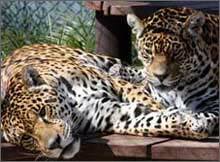 The Amazon rainforest, samba, Bossa Nova, Carnival… Brazil is famous for its spicy, friendly culture and some of the most diverse ecology on Earth! 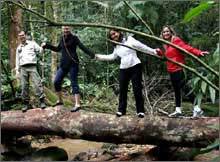 ELI's Brazilian volunteer projects are centered in Curitiba, a bustling city known as the ecological capital of Brazil. The city was heavily influenced by Italian, German, Polish, and Ukranian immigrants - creating a modern city like no other that has won a UNESCO prize for urban development. 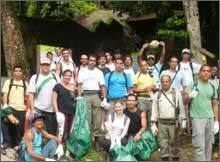 Sprawling public parks and museums create the perfect backdrop for volunteers who want to experience a unique and exciting culture. Portuguese language skills are helpful but are not a requirement. If you can keep up, Brazil is waiting! 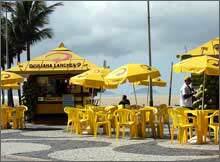 Acquiring a Brazilian Tourist Visa can be a long process, get started early. For more information, visit the Brazilian Consulate nearest you (as requirements can vary at different locations). 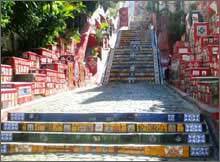 In Rio de Janeiro, you will fly into Galeao International Airport (GIG). 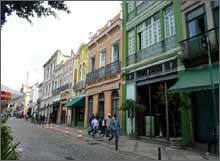 In Curitiba, you will fly into Afonso Pena International Airport (CWB). Here's a handy tool to see what time it is in Brazil: Time Conversion Tool. If you live in the northern hemisphere, remember that seasons are the opposite! Check the weather in Rio de Janeiro and Curitiba. 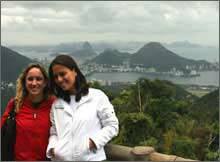 Participants in ELI's Brazil programs must speak one of these languages: English, Spanish, or Portuguese. 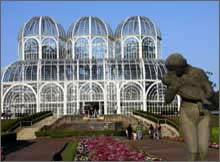 Portuguese classes are available in Curitiba. It is very helpful to learn at least a few Portuguese words before you arrive, check out Duolingo's free online Portuguese Language Classes.